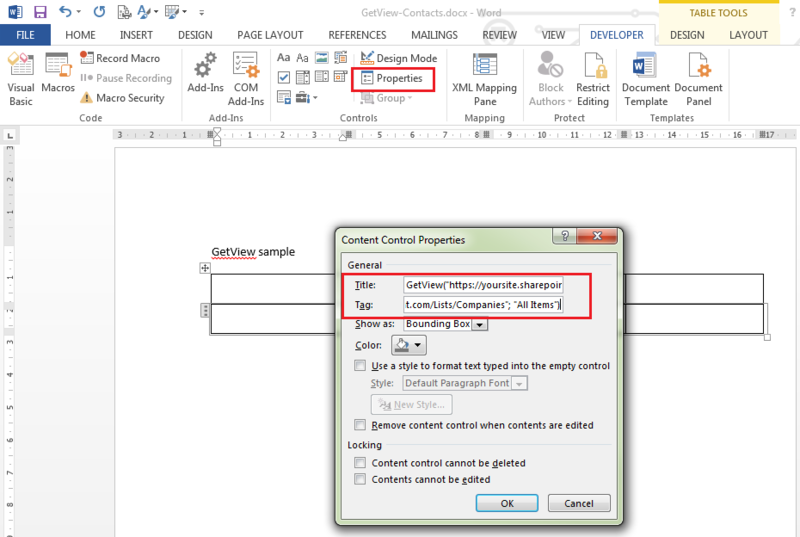 This article describes the formula syntax and usage of the GetView function in JungleDocs for Office 365. AdditionalParameter Optional. A SharePoint column name (lookup columns, choice columns, and Boolean columns are also supported) or a date condition. Note: for plain text columns, insert plain text content control and in the Tag field enter the column name (we recommend to use internal names) of the Companies list. 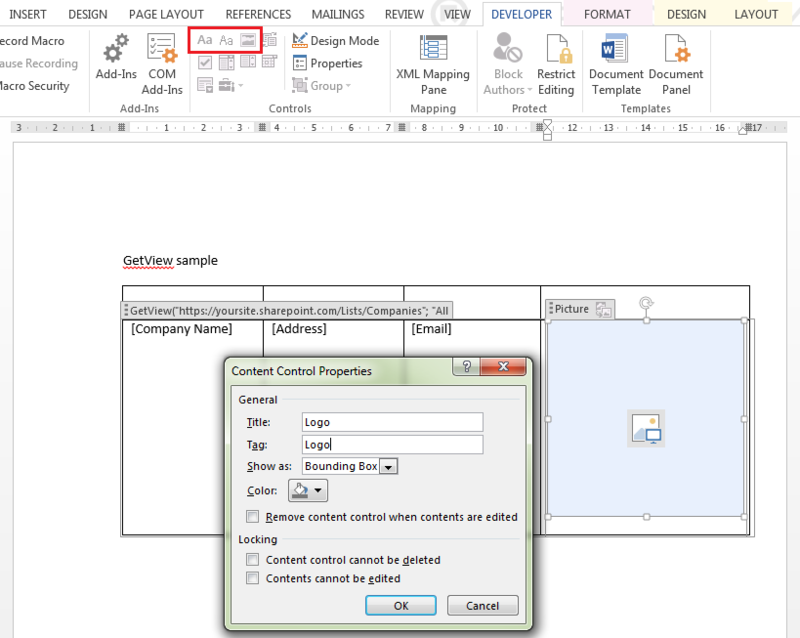 If you want to insert an image from a picture column, insert a picture content control. 4. Customize the table the way you want it to be, create more tables with their content controls linking to other lists, and you are ready to create reports from multiple lists.